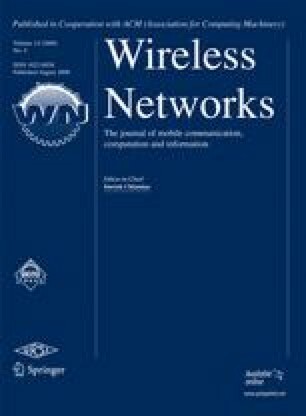 Wireless local area networks experience performance degradation in presence of small packets. The main reason for that is the large overhead added at the physical and link layers. This paper proposes a concatenation algorithm which groups IP layer packets prior to transmission, called PAC-IP. As a result, the overhead added at the physical and the link layers is shared among the grouped packets. Along with performance improvement, PAC-IP enables packet-based fairness in medium access as well as includes QoS support module handling delay-sensitive traffic demands. The performance of the proposed algorithm is evaluated through both simulations and an experimental WLAN testbed environment covering the single-hop and the widespread infrastructure network scenarios. Obtained results underline significant performance enhancement in different operating scenarios and channel conditions. Dzmitry Kliazovich received his Masters degree in Telecommunication science from Belarusian State University of Informatics and Radioelectronics in 2002. He is currently working towards the Ph.D. degree in University of Trento, Italy. From September 2005 to February 2006 he was a visiting researcher at the Computer Science Department of the University of California at Los Angeles. He is an author of more than 20 research papers published in international books, journals and conference proceedings. His main research interest lies in field of wireless networking with a focus on performance optimization and cross-layer design. Fabrizio Granelli was born in Genoa in 1972. He received the “Laurea” (M.Sc.) degree in Electronic Engineering from the University of Genoa, Italy, in 1997, with a thesis on video coding, awarded with the TELECOM Italy prize, and the Ph.D. in Telecommunications from the same university, in 2001. Since 2000 he is carrying on his teaching activity as Assistant Professor in Telecommunications at the Dept. of Information and Communication Technology—University of Trento (Italy). In August 2004, he was visiting professor at the State University of Campinas (Brasil). He is author or co-author of more than 60 papers published in international journals, books and conferences, and he is member of the Technical Committee of the International Conference on Communications (from 2003 to 2007) and Global Telecommunications Conference (GLOBECOM2003 and GLOBECOM2004). Dr. Granelli is guest-editor of ACM Journal on Mobile Networks and Applications, special issues on “WLAN Optimization at the MAC and Network Levels” and “Ultra-Wide Band for Sensor Networks”, and Co-Chair of 10th IEEE Workshop on Computer-Aided Modeling, Analysis, and Design of Communication Links and Networks (CAMAD’04). Dr. Granelli is General Vice-Chair of the First International Conference on Wireless Internet (WICON’05) and General Chair of the 11th IEEE Workshop on Computer-Aided Modeling, Analysis, and Design of Communication Links and Networks (CAMAD’06). His main research activities are in the field of networking and signal processing, with particular reference to network performance modeling, medium access control, wireless networks, cognitive radio systems, and video transmission over packet networks. He is Senior Member of IEEE and Associate Editor of IEEE Communications Letters. NS-2 simulator tool home page. http://www.isi.edu/nsnam/ns/ (2000).